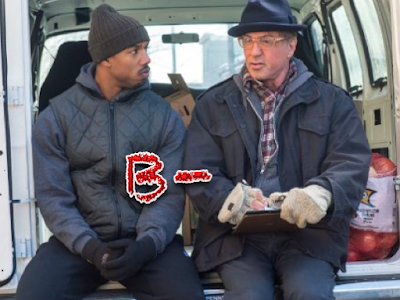 Ryan Coogler takes over as director for the new Rocky revamp, Creed. Yes, the Italian Stallion whom we all came to love as a poor, struggling boxer on the cold streets of Philadelphia now passes the torch to a young, promising boxer. The boxer: Adonis Creed, the illegitimate son of Stallone’s old adversary-turned-best friend, Apollo Creed. The movie starts off with a young Creed getting arrested for fighting. He is bailed out by his mother, who, through the pain of losing Creed senior, still hasn’t felt right about not being in the picture. Flash forward to his young adult years and we see a 20-something Creed (Michael B. Jordan, “Fruitvale Station”, “Fantastic Four”) still driving hard trying to make a name for himself in buck-like anger—just like his hotheaded late father. Although reluctantly, an aging Balboa agrees to train him, at first putting him off with just some training tips. But he finally takes him on out of not much more than just being unsatisfied with life, as nearly everyone he loved and held dear has passed onto the next life. Some touching moments aside, Creed was an enjoyable movie experience because of the legacy that came before it. A few heartwarming moments later – couched in wonderfully progressive pacing – we keep watching, even though we are never held in suspense for very long. Movies that cater to younger viewers today are as ADHD as the kids who watch them. It happens to be the case that audiences will quit watching anytime patience is demanded of a movie, which is to say that anytime a fight song starts playing, you pretty much know the protagonist must win, despite all odds. Paulie isn’t around anymore, and although references to Rocky’s son are thrown out, he isn’t either, nor is anyone else. And it’s just as well since this was supposed to be about young Creed and his new girlfriend, “Bianca” (Tessa Thompson, “Dear White People”, 2014). And let’s face it; both young faces are what was wanted to make Rocky relevant to a new age. The film is never bold or daring enough to make us look down to the harsh realities of not being who or what we want to be. It has to follow the “guts ‘n glory” trail, but it does teach us a powerful lesson about each of us fighting our own battles, no matter what those battles are. Coogler’s highly praised debut was Fruitvale Station (2013), in which he dealt with the real-life police slaying of an unarmed black man in San Francisco, but as expected with Stallone’s tried-and-true framework of “just tell the story,” that is the angle here. Things go from touching to touched-up when we progress through the film and meet Creed’s esteemed opponent, a cheesy conception of a fighter: “’Pretty’ Ricky Conlin.” Supposedly, no one is a match for him and no one has even knocked him down in the ring. He makes it known that he is very angry and ready to defend his title, but it doesn’t feel credible. Ridiculously, the ending parallels the 2006 movie Rocky Balboa. And there was no good reason to go in that direction. So there is no innovation to speak of in the story delivery department, but for what it offers, viewers will be entertained, even a little moved.